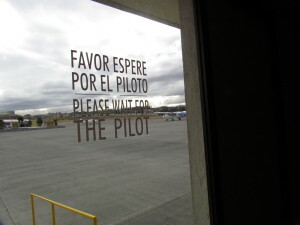 Favor Espere por el Piloto – Please Wait for the Pilot. Always good advice for frequent fliers. 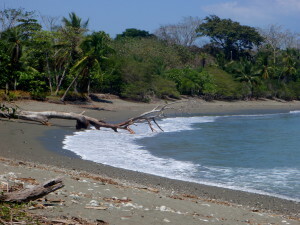 We first visited the Osa over eighteen years ago when we spent a few nights in Jiménez then trekked from La Palma on the Golfo Dulce, up the Río Rincon to Los Patos, down to the Pacific at Sirena and then along the beach to La Leona and Carate. When we were offered the opportunity to explore a new trans-peninsular hike with our friend Edwin we jumped at the chance. 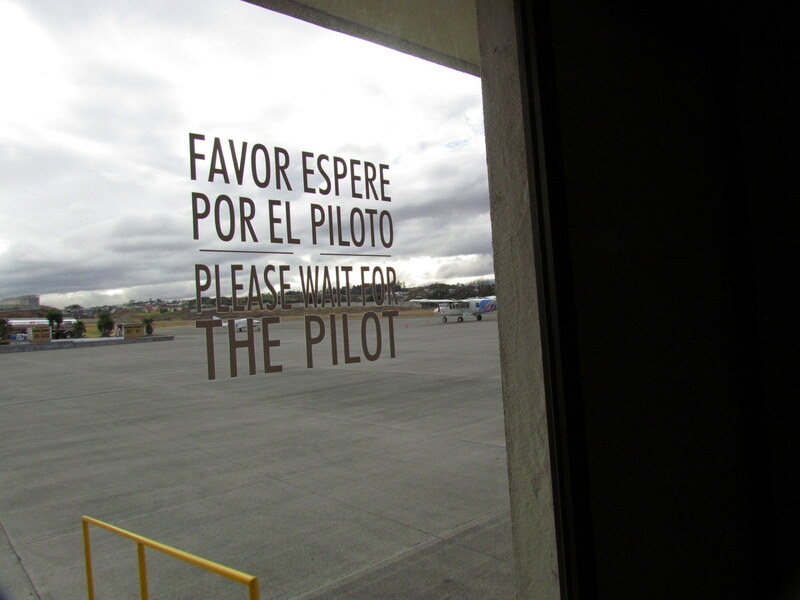 We flew Nature Air from Tobias Bolaños airport in Pavas (San José) to Puerto Jiménez on the Osa Peninsula. 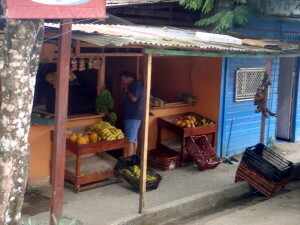 Jiménez has undergone some major changes in the past couple of years, most notably the road from Chacharita on the Pan American highway is paved. The last new bridge was opened while we were there last week and the drive time has been cut in half. The new modern BM supermarket includes a small soda that supplements Carolina’s as the main meeting place in town and of course a number of restaurants, hotels and lodges have come and gone. 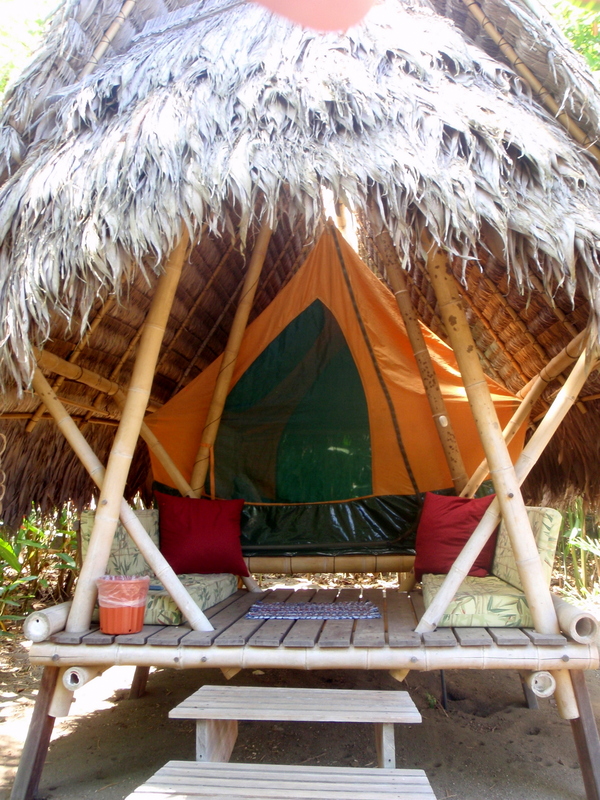 We spent a couple of days with Edwin at the tree houses at Tortuga Negra on playa Preciosa while exploring from Puerto Jiménez down to Cabo Matapalo. Tortuga Negra Lodge is in the trees a few dozen meters behind Playa Preciosa. 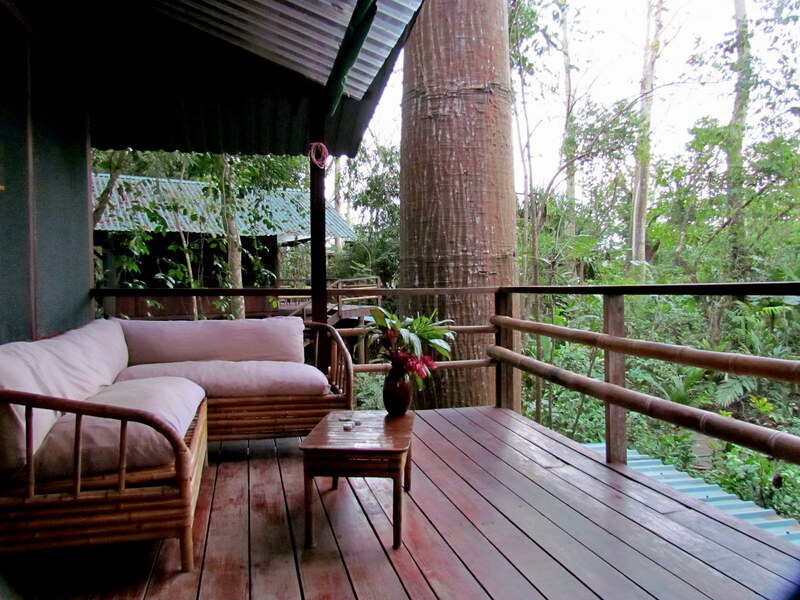 Simple but elegant hardwood casitas give you a second story peek into the treetops where howler monkeys greeted us every morning and white faced capuchins trooped through each evening. 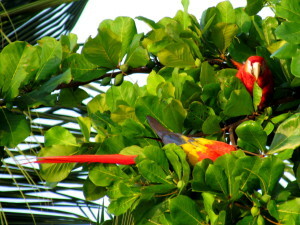 Scarlet Macaws flock on the beach attracted by the almond trees along the whole three kilometer stretch of gray sand. 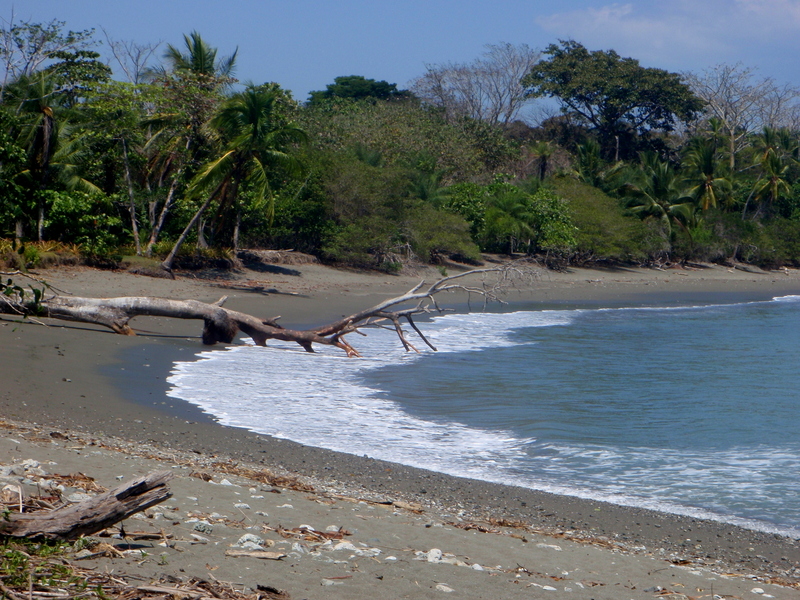 Some of the most spectacular undiscovered beaches in Costa Rica stretch south from the Puerto to Cabo Matapalo along the Golfo Dulce. 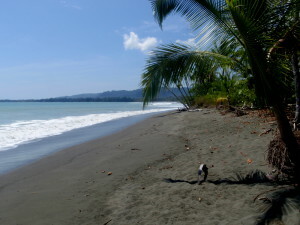 Preciosa is a long walk or short bike ride from downtown Jiménez and the most “crowded” of the beaches along this coast until you reach Matapalo. The crowd typically consists of one or two other people plus half a dozen Lapas (Macaws), a troop or two of monkeys and a few wading birds near the small estuary. The waves on Playa Preciosa generally break too close to the beach for surfing and are a little rough unless you’re a strong swimmer – be cautious of rip currents especially around the rivermouth. South of Preciosa lies Playa Tamales which is one of the least developed beach on the peninsula side of Golfo. It is on the horn of the peninsula between Jiménez and Cabo Matapalo south of Punta Tigra facing Potrero across the Gulfo Dulce. A small sandy campground under shade trees in the front yard of a campesino house near the entrance is the only sign of habitation. 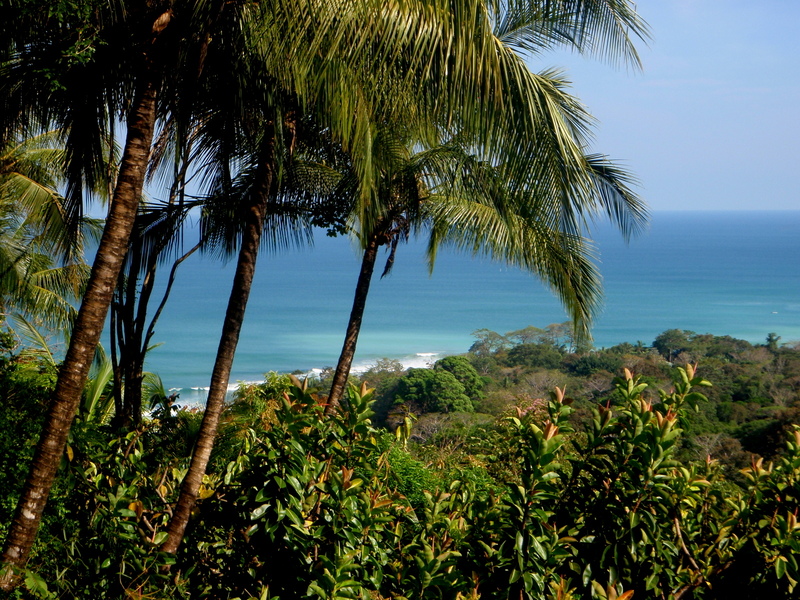 We’ve been told that the surf sets up here, or you can skip one beach south to Sombrero if you want to ride in style. South of Tamales Sombrero beach boasts a pair of the best beginner/intermediate waves anywhere. At the mouth of the river a beautiful right and goofy foot wave set up in front of the stunning Boca Sombrero Lodge. 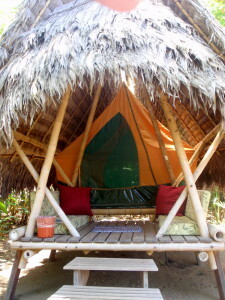 We watched from the comfort of shaded cabanas as surfers enjoying rides measured in minutes instead of seconds. The small resort/lodge is owned by a German band that occasionally takes over the whole place as a private retreat. The other fifty weeks of the year the houses, rooms, tents and facilities are open to the public. All of the design and architecture are beachfront spectacular simplicity. Open air everywhere from the hardwood yoga platform to the mosquito netted beds on the upper decks at palm frond height to take advantage of the consistent breezes off the water. The idyllic setting and perfect design are complimented by healthy delicious cuisine including fresh baked German breads daily or you can always cook up the fish you caught yourself; each beachfront house includes a well appointed open air kitchen. Cabo Matapalo caps the Osa Peninsula with a stunning shoreline dotted with luxury eco-resorts and private homes, most of which are for rent when the owners are absent. 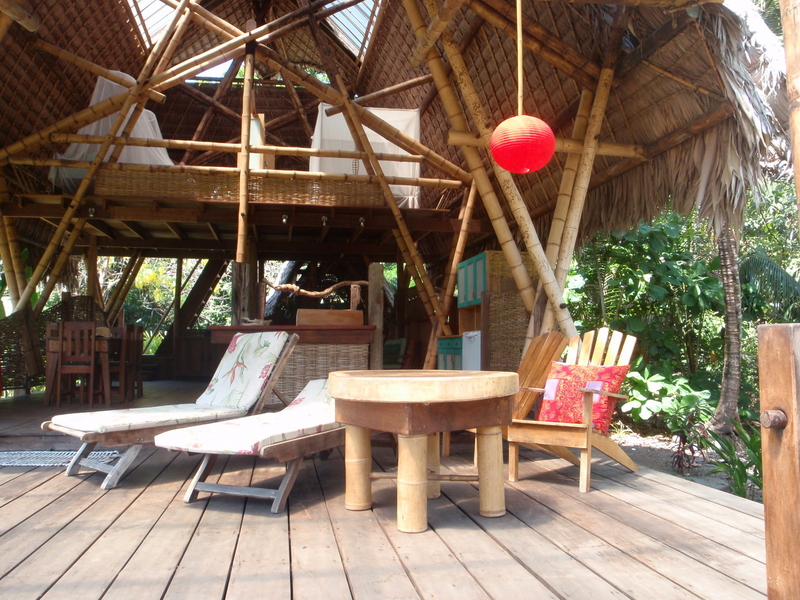 Encanta de Vida near the beach and Lapas Rios high on the mountainside provide all the amenities and luxury you’d expect in world class remote mini-ecoresorts. Just around the point at Cabo Matapalo is the Pejeperro wetlands and 20 km west the road ends at Carate. More about that later when we return to the region on foot after crossing the heart of the Osa peninsula on foot along the Sendero de Oro (gold trail). This afternoon we returned north for a last night in Tortuga Negra where we’d been invited to the owner’s home to enjoy an Italian meal cooked by his mother and sisters who were there for a visit and had brought some delicacies from the homeland. One of the best meals we’ve ever eaten in Costa Rica, unfortunately quite unlikely that circumstances will ever be right for it to be repeated. Megan and Ryan joined us from Hermosa de Guanacaste on the early flight the next morning and we left the life of luxury and haute cuisine behind to head inland to Dos Brazos and the trail head.